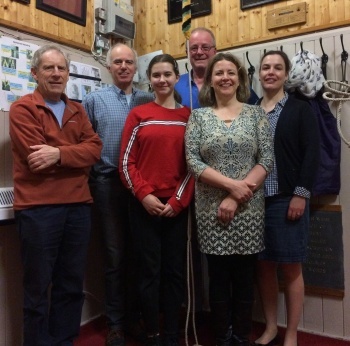 The Tenth Newbury Branch Quarter Peal Week ended on Sunday and, as in previous years, was quite a successful one. The aims of this well established annual event are to ring quarters in as many local towers as possible while raising the profile of ringing in the Newbury area. But possibly the most important aim is to provide opportunities for ringers to progress, one that has been upheld very well this week. The number of participating towers, or quarters rung successfully, was down on previous years, but those that were rung, were mostly for ’first timers’ in various ways. A number of quarters were lost but some of those were quite ambitious and others possibly shouldn’t have been with standard methods being rung by strong bands, but the 12 successes listed, made the week a success nonetheless. Firsts in method, first quarter, one in hand, plus some novice call changes and one newly named method, all contributed to the week. The Branch Dinner, held on the Saturday, was an enjoyable and sociable event where the week’s proceedings were reflected on. So, although fewer quarters were rung and less towers were involved, the achievements made for another worthwhile quarter peal week. These performances were sent for print on Thursday, 14 March 2019 at 12:26:52. Last updated Wednesday, 20 February 2019 at 10:26:07. First submitted Sunday, 20 January 2019 at 15:27:00 by Mark Robins.